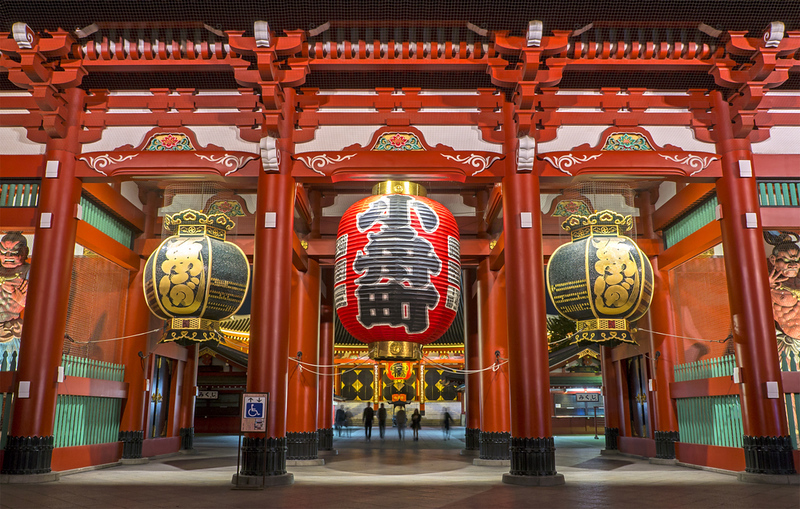 Tokyo's Shinto shrines and Buddhist temples are some of the most interesting sites in the city to visit. Here is a very selective list of my favorite shrines and temples in the city. Tokyo is not a city of shrines and temples the way that Kyoto is. 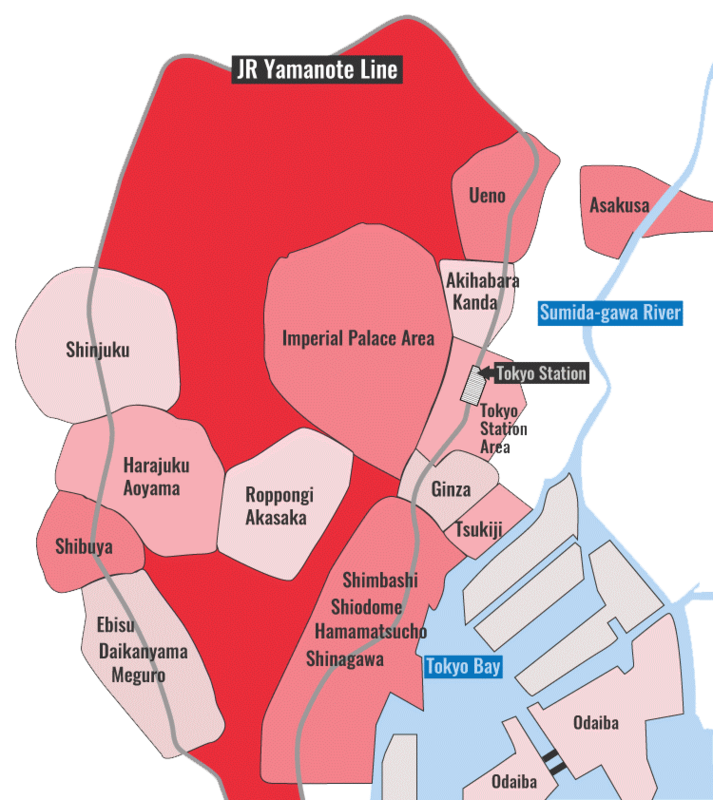 Kyoto is a much older city and was the center of Japan for over a millennium, so that most major sects have their headquarters there. Then, most of the temples and shrines in Tokyo were bombed flat in World War II, so that almost everything you see today is a modern reconstruction. Still, there are some fine temples and shrines in the city and it's well worth a visit to some of them. Note that if you plan to visit Kyoto, which has the best shrines and temples in Japan, you don't have to go out of your way to visit shrines and temples in Tokyo. If you're going to Kyoto, I'd suggest only visiting Meiji-jingu Shrine and Senso-ji Temple in Tokyo. Likewise, if you plan to visit places near to Tokyo like Nikko or Kamakura, both of which have great shrines and temples, you don't have to focus on shrines and temples in Tokyo. This awe-inspiring shrine set among a soothing green forest is one of Tokyo's greatest sights. Don't miss it! One of Tokyo's most interesting and controversial sites (it's associated with Japanese nationalism), I highly recommend a visit to this shrine and it's adjoining history museum, the Yushukan. A colorful and bustling shrine in the Kanda District, not far from Akihabara or Tokyo Station, this is well worth a visit to see Shinto in daily life. While this is generally overshadowed by Senso-ji Temple, right next door, this popular Shinto Shrine is a great place to see living Shinto. This beautiful and peaceful shrine in Ueno-koen Park is one of my favorite sights in this part of Tokyo. Don't miss it when you visit the park! For a quick breather in bustling and hip Roppongi, head north to this tranquil refuge. This shrine to fishermen, fishmongers and mariners next to Tsukiji Market is a great place to see how Japanese pray at a Shinto shrine. This huge bustling temple is the spiritual heart of the city. It's one of the best sights in Tokyo. Do not miss it! Over in Kagurazaka, which is a bit of a walk from the Imperial Palace or Iidabashi, this superb colorful temple is well worth a visit when in the area. A real oddity in Tokyo – a Confucian temple – this subdued temple a short walk west of Akihabara is a nice place to catch your breath after an overdose of pop culture. In the shadow of Tokyo Tower, this huge and popular temple is a great place to visit en route to or from Tokyo Tower.